President of Iraq announces he loathes Israel and also decides to recover Kuwait -which had been part of Iraq anyway until detached for a local band of Bedouin chiefs. USA enters the scene, as its proxy state of Israel (or is that the other way around?) is “threatened” and likewise its other proxy state, Saudi Arabia feels “threatened”. USA now drags its proxy military arm, NATO, into Gulf Wars. This is nowhere near the North Atlantic. Iraq gets kicked out of Kuwait. Lull in the wars. USA now engages in an anti-Iraq propaganda war including “weapons of mass destruction” lies, gets its puppet NATO states on side (including Blair) and invades Iraq intent on “regime change”. Iraq defeated. Entire government murdered by NATO after court hearings which make Nuremberg look fair. 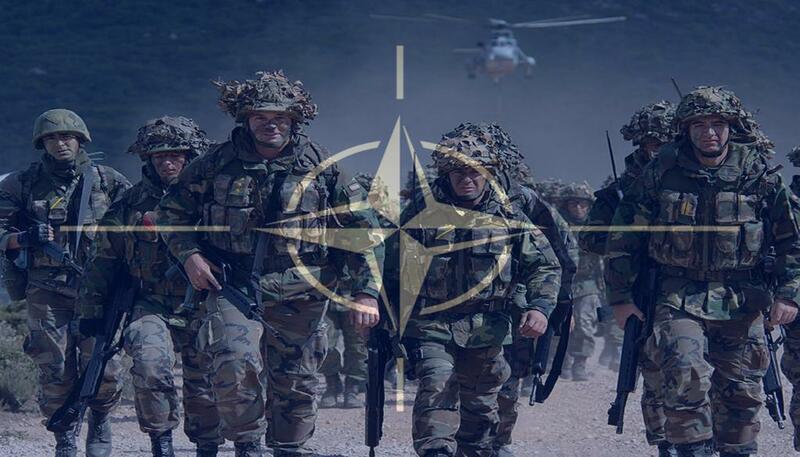 NATO, having destabilised and utterly destroyed a secular country and its infrastructures, where Christians, Jews, and Muslims had lived side by side most satisfactorily for 2000 years, departs. Phase Two. Syria. A peaceful secular state where Christians, Jews and Muslims have lived side by side in harmony and protected by the state for 2000 years. Syrian government has full international recognition and is even feted. However, they don’t much like Israel either, and the USA decides that as the Syrian government have very friendly relations with their new bogeyman, Iran, which also loathes Israel, they must be eliminated. After the Iraq mess, the USA does things by proxy this time. Gets the Saudis to fund terrorists (who are then also externally armed) inside Syria who then start an insurgency and civil war. USA and their proxy NATO states now start a propaganda war (ably assisted by the BBC) against the government of Syria. Suddenly it has become “the regime” and President Assad (a qualified doctor who worked for years in London) a “butcher” (said David Cameron). Syrian army fights back against the terrorist insurgents. This is displayed by the USA and NATO proxies as “shocking” and “barbaric” as though had a terrorist insurgency or civil war started, say, in the UK, the government army there would do nothing about it. Western states now start saying how shocking it is that civilians are suffering and whole cities destroyed (forget about World War II) and how it is all the fault of the Syrian government, not the terrorists who by now include external elements including Al Qaeda. Following the destruction of Iraq, a new force of Islamic lunatics appear on the scene: ISIS. They now start a march of death and destruction across Iraq and into Syria while selling oil to the Turks (NATO country) and others at the same time bringing them millions of dollars in revenues. Thousands of Islamic extremists from inside Europe (where they should never have been permitted to reside) and other places go to Syria to join these fanatics who are now murdering en masse. Western leaders continue to say it is all the fault of the Syrian “regime” (regime change has not happened!) and start moaning about the refugee crisis. Meanwhile NATO forces start bombing indiscriminately what they say are ISIS targets. Sheds, a few trucks etc. Kill a few lunatics. Somehow fail to spot mile long oil convoys. Western governments hold pretend peace meetings in Switzerland without inviting Syrian government. Continues to talk about regime change. Why is the United Kingdom part of this crackpot NATO organisation and a lapdog for the USA and their endless wars?